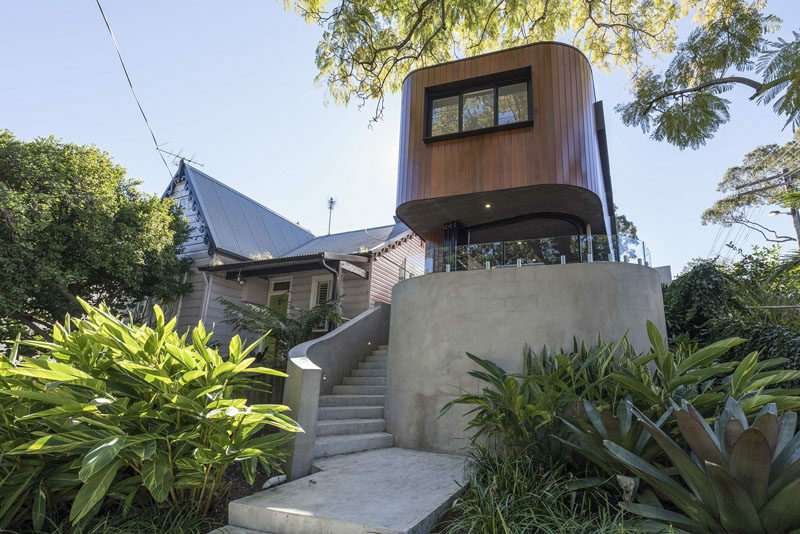 Real estate firm BresicWhitney have recently listed this modern curved wood and concrete house that’s located in Sydney, Australia. 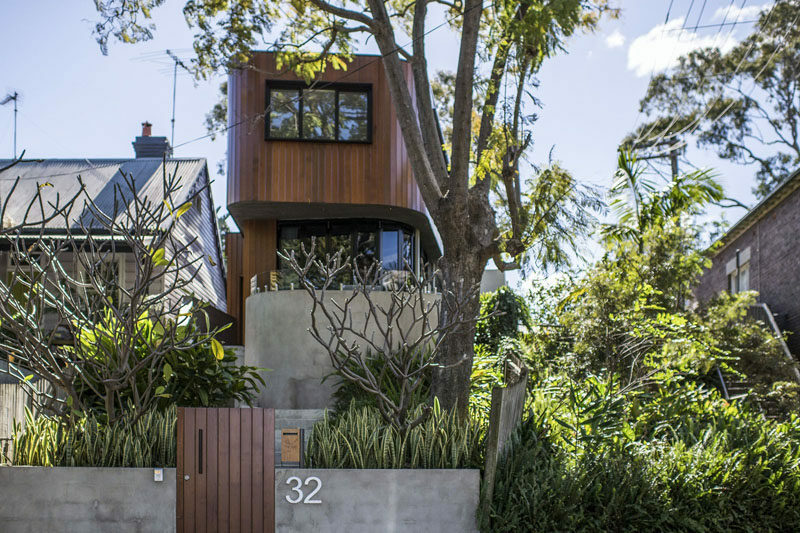 At the front of the house, a path surrounded by plants connects to concrete stairs that lead up to the house. At the side of the house, there’s another entrance and the second floor features black window frames that protrude out from the wood facade. 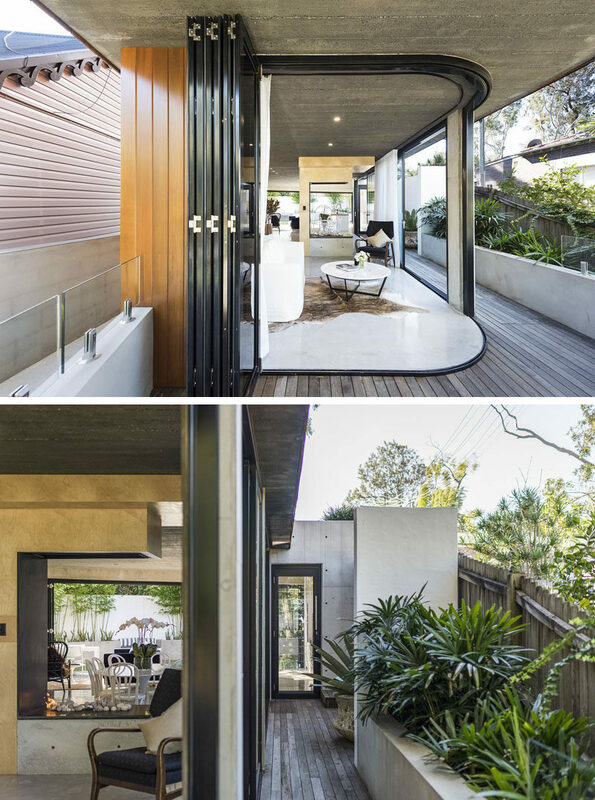 The interior of the house opens up to a private backyard that’s ideal for indoor / outdoor living. 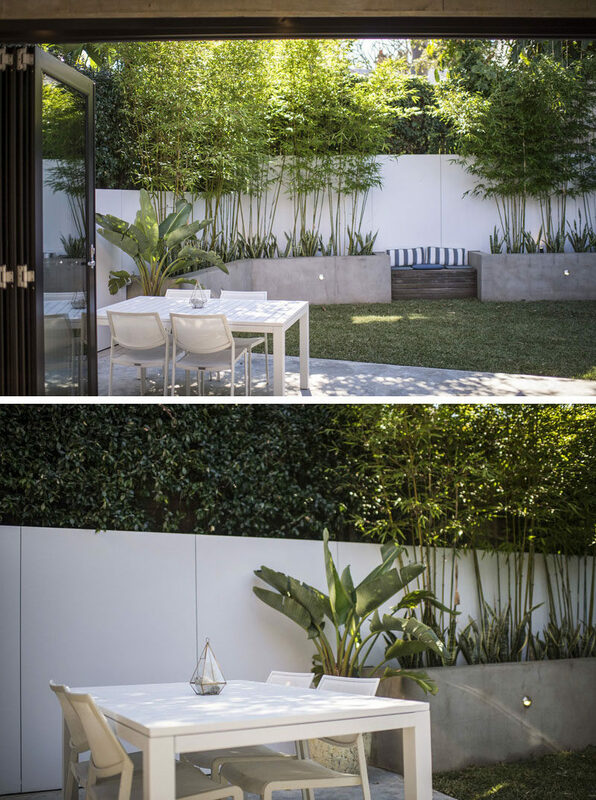 The landscaped backyard has custom planters that wrap around wall, a built-in wood bench and an outdoor dining area. 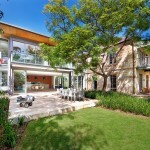 Inside, the home bright and open with the living room and kitchen sharing the same space. Minimalist white cabinets are featured on both walls, and in the kitchen a brick backsplash covered by glass has been used to create a unique accent. 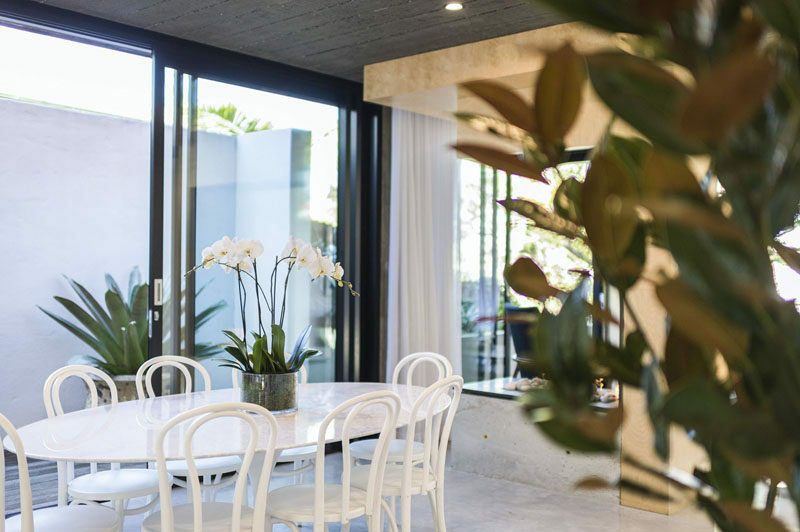 Next to the living room and kitchen is the dining room furnished with a white oval dining table and complimentary chairs. 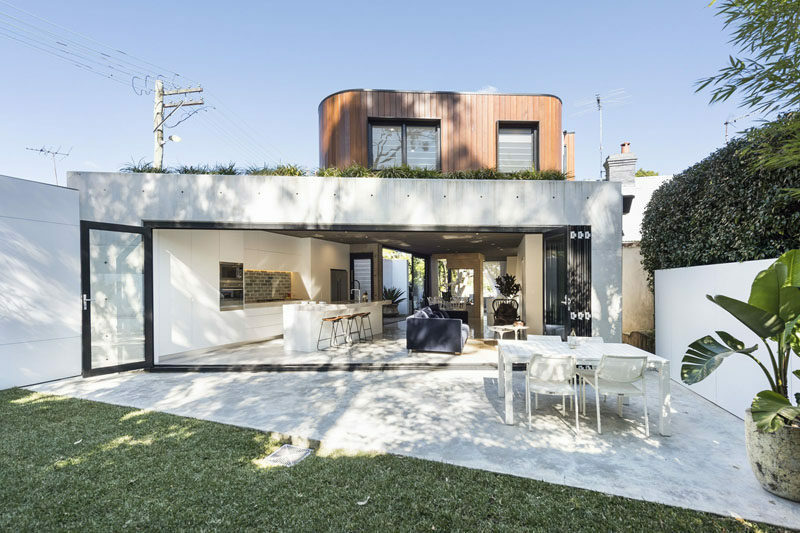 At the front of the house, there’s another small living room that opens up to a small patio that overlooks the street. 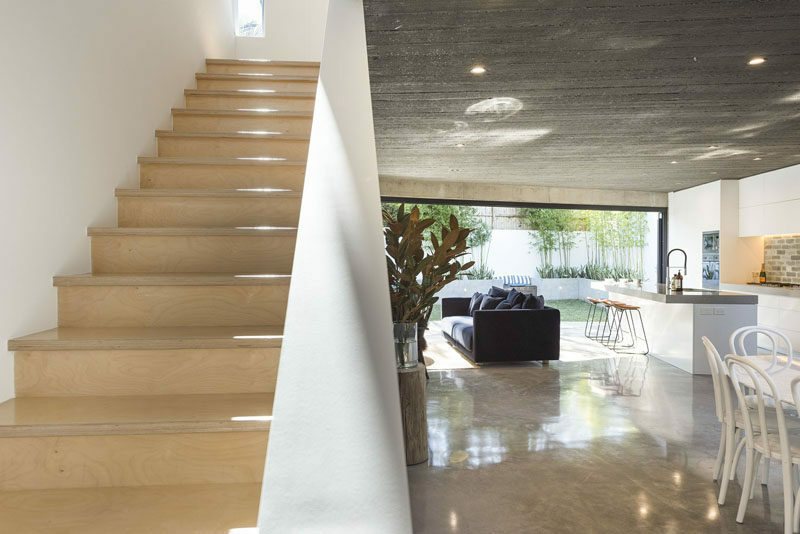 Both living areas at either end of the home have retractable glass walls. Back inside and beside the dining room are a set of light wood stairs that lead up to the second floor. At the top of the stairs is a bathroom that’s hidden behind a white sliding barn door. 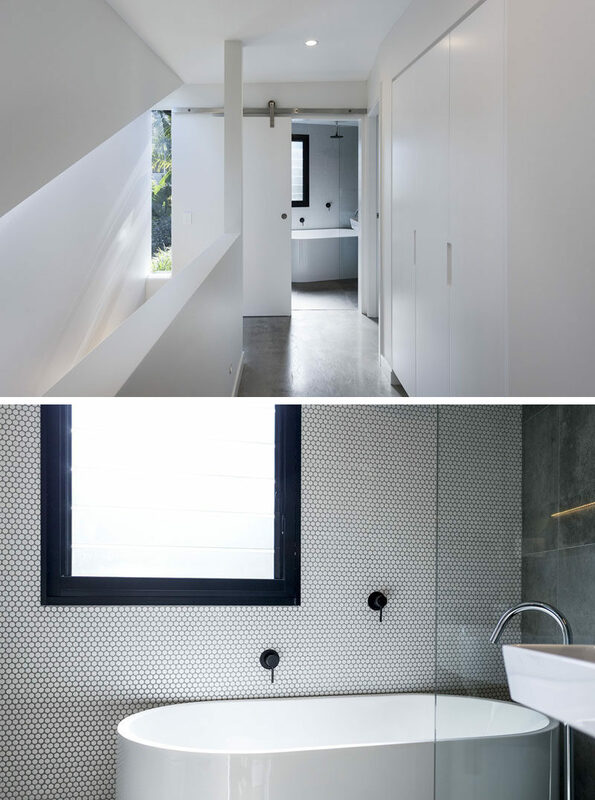 The bathroom features a freestanding bathtub with rain shower, an accent wall of penny tiles and matte black accents that match the black window frame. 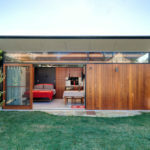 In the bedroom, furnishings have been kept minimal and glimpses of the sky and trees outside are visible through the windows.